(Higher Perspectives) Eat lots of fruits and vegetables; that's advice just about any doctor or dietitian will give you. And they are totally right! Vegetables and fruits come loaded with fiber, minerals, and vitamins that are critical for staying healthy. But not all fruits and veggies are created equal. Big biotech companies like Monsanto have been working hard at altering the genetic code of our food and then patenting it and making their millions. It's pretty sad. How do we keep these frankenfoods out of our bodies? It depends entirely upon who you ask. There are studies out there that say GMOs are incredibly harmful to your gut and can cause disease in the long term. Others indicate no serious health complications. It's relatively new technology that hasn't been tested over the course of decades, which leaves a lot of question marks. One of the most damaging aspects of GMOs comes in the form of, not health problems, but issues of liberty. If big biotech companies patent their GMO seeds and force heirlooms off the market through standard capitalistic means or by rendering them illegal, that takes food ownership away from the people. This puts it squarely in the hands of people who are already absurdly wealthy. That means no more seed saving, no more breeding your own livestock; you'll have to get it from Dupont or Monsanto or another company. So how do we counteract these forces? We hit it where it hurts the most: in their pockets. In a free market, we have the final say, and our dollars are like votes for the kinds of products we want to have available to us. Don't want GMOs? Then we need to stop buying them. But how do we know the difference? 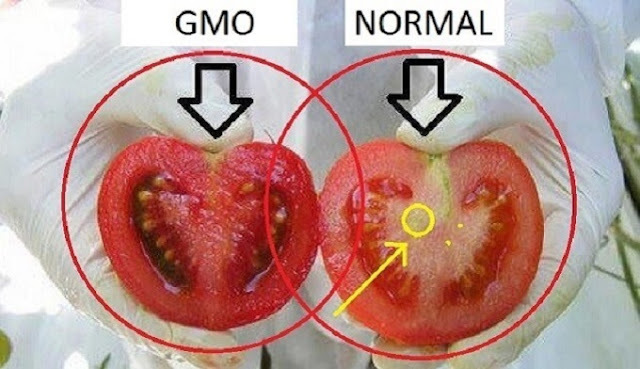 Admittedly, it's not always that easy to tell what is or is not a GMO crop. A lot of the time, it's going to be a lot easier to spot the differences in your produce section. Most of the time, you can look at the sticker. A 5 digit code that begins with 9 indicates an organic fruit or vegetable. A 4 digit code starting with the number 4 indicates it was conventionally grown, meaning it was grown with chemicals and pesticides. A 5 digit code that begins with the number 8 often denotes a GMO crop. These are ones you should avoid at all costs. But here's the thing: this strategy doesn't always work. Some grocers are a little bit different. The smartest thing you can do to avoid GMOs is buy strictly organic produce. Organic fruits and vegetables cannot bear the organic label if they're GMO. But this strategy also ignores the rest of the store too. Most GMOs aren't going to appear in the produce section but in all of the boxed and processed foods. The same strategy as I stated above applies. Go for organic processed foods or stay away from processed foods entirely. That's basically the only way to avoid it. GMOs, no matter which way you slice it, are bad news. So let's cut the head off the snake before it eats all of us, shall we?